It was ‘election night all over again’ for many as the New England Patriots fought back to clinch Super Bowl victory from the Atlanta Falcons in what has been described as the most dramatic comeback in the sport’s history. ‘Not again’ was the cry from the Twitteratti as comparisons were quickly drawn with the fateful night of November 8, 2016 when Donald Trump shocked MSM commentators by defeating reported frontrunner Hillary Clinton. Similar to Clinton on election night, the path seemed clear for the Falcons to claim glory. On the cusp of their first championship victory, Atlanta held an incredible lead of 28-3 at one point in the game. ‘Expert’ predictions gave them a 99 percent chance of winning. 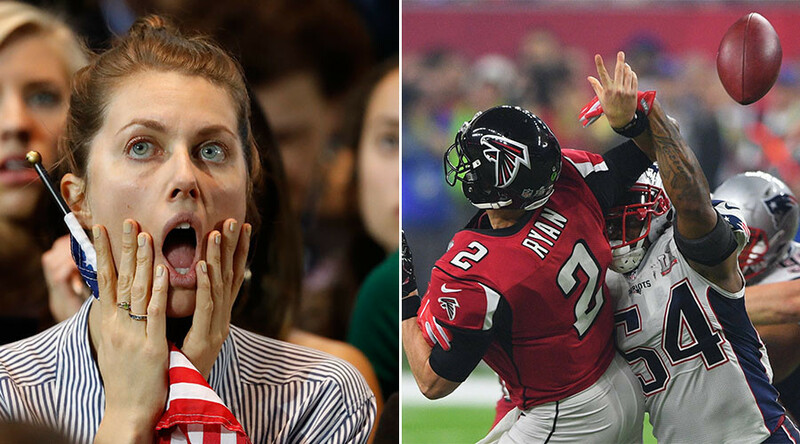 When the Patriots tied 28-28 in the final nail-biting minutes of play and took victory in overtime, social media users immediately harked back to Trump’s historic win. Trump’s son Donald Trump Jr was quick to point out the undeniable similarities between the game’s turnaround and how the presidential election results had defied pollsters’ predictions. The MSM, which predicted that Clinton would sail to victory, was blasted for pushing in-game stats which gave the Patriots little or no chance of a comeback. Trump later described the Patriots’ win as ‘an amazing comeback’ while his son anticipated a flurry of memes, comparing the president with the NFL quarterback who led the New England outfit to victory, Tom Brady.